Congratulations to anybody who had Tony Scott’s Enemy Of The State in Hollywood’s long-running game of Movie-To-TV Show Bingo: You’ve won yourself a new action drama on ABC. 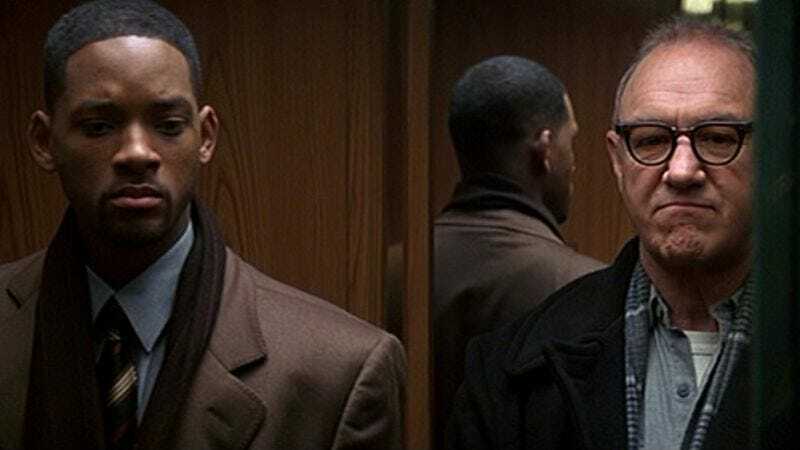 According to The Hollywood Reporter, Jerry Bruckheimer has sold the network on a TV sequel to the Will Smith and Gene Hackman vehicle. Released in 1998—i.e., back when a massive NSA surveillance program spying on American citizens was meat for a pulpy spy thriller, and not three-year-old news—Enemy Of The State saw Smith play a lawyer forced to team up with a mysterious surveillance expert to expose a massive cover-up. The new show sounds like it’ll follow a similar pattern, with an “idealistic” female lawyer and a “hawkish” FBI agent drawn into a conspiracy surrounding a Snowden-esque NSA spy. None of the parts have been cast—and we’re just going to assume fans shouldn’t hold their breaths for a Smith or Hackman cameo—but Blackhat’s Morgan Foehl has been tapped to write the script.